For the Caribbean Trinidad is the gateway. 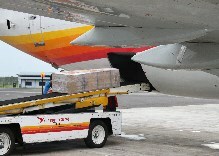 Three times a week we offer cargo service from Port of Spain to Paramaribo v.v. on a passenger flight.